Tracey L Pacelli is a staff writer at psychicaccess.com. 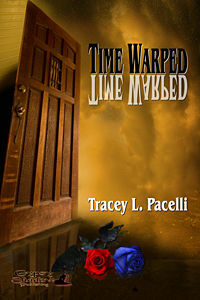 Her new YA novel, TIME WARPED, has just been released, both as an ebook and in print form, from Gypsy Shadow Publishing. It’s now available for purchase on her website (http://TimeWarped.net), or at your favorite ebook store. If you’d like a signed print copy along with a free eye-catching bookmark, simply shoot her an email through her contact form and in the subject line write “Psychic Blogger,” and Tracey will sign and send you her book at a discounted rate. This “LittleRedWriter” also invites you to check out her blog at http://TraceyPacelli.com, for a weekly dose of paranormal news served up with a sprinkling of humor.